This newly refurbished 3 bedroom split level flat benefitting from an open plan reception and kitchen/dining room with access to a front-facing balcony/terrace. Further into the home, there are two bathrooms, two bedrooms on the main floor, with the master bedroom and en-suite downstairs. 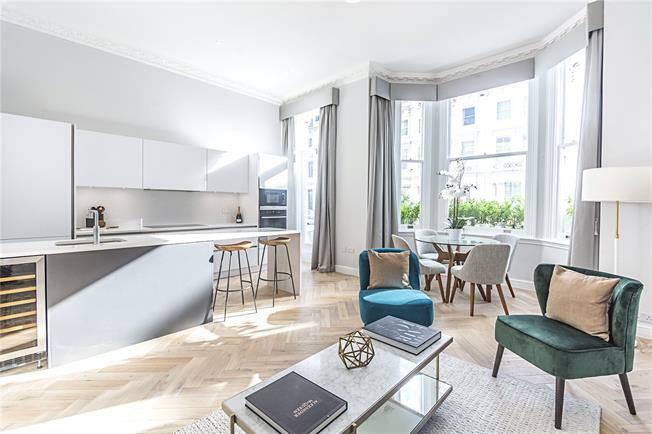 Situated close to the amenities of Kensington High street & transportation links Earls Court, and Gloucester Road, and the green spaces of Holland Park. Lexham Gardens is a well regarded address ideally located with Kensington High street to the North and Gloucester Road to the south. The living room has direct access to a great balcony/terrace ideal for a table and chairs.